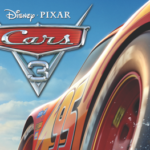 Our celebration of the home video release of Cars 3 continues with our interview with producer Kevin Reher. Laughing Place: Now that the movie’s out and it’s coming to home video, looking back is there anything that you really brought home from the whole experience of producing Cars 3? Kevin Reher: I’m kind of going through separation anxiety; withdrawal. I don’t know what you call it. A friend of mine who did Brave, Katherine Sarafian, she said it is a period of adjustment because I have emails from 2011 on Cars 3 but for the last probably three years I’ve worked with over 250 artists, craftspeople, production folks and technical people. We were known as the happy show, which I’m most proud of where people loved working for us and had a good time and we’re very successful in what we tried to take on and do, which was really daunting at times because it took a year out of our schedule but it was kind of the joy of working with a really terrific team and I miss it a lot. LP: You wouldn’t miss a year, right? KR: If you come to Pixar, they have the two art galleries on either side of the main building and it’s devoted to the movies that are currently coming out or just finishing and if you look at the Coco side of things, it’s filled with art and stories and images and characters and maquettes and all this stuff, and then you look at our side, it’s a little skimpy because we just had to get it done. Ours was more of a fire drill if you will but it turned out well. LP: I mean you wouldn’t say it looked rushed. KR: No. It doesn’t. What you see on the screen is truly beautiful. I’ve always marveled at even the beach scene is just so beautiful. Those clouds and every grain of sand and every bit of ocean has to be created. LP: As technology evolves you essentially have to build it from the ground up again, right? Isn’t that correct? KR: Well, you want to play off the enhancements that have happened in the 11 years between Cars 1 and Cars 3 and yet at the same time you need to stay true to what the sequel or true to the original in the sense that it’s an enhancement. If you look at the images of the two films like just to fill, it’s quite richer in terms of the look but you don’t want it too jarring and go, “This isn’t the world I know.” So that’s always a little tough. KR: Well, you know all the … cars have reflections, right? And, so 11 years ago, reflections were very difficult for our system, our renderer to do and a lot of those reflections were basically hand done. With the new renderer we have, it’s the opposite. It was so hot if you will that when you looked at McQueen there were reflections coming off of everything and it was so distracting. We had to dial back the renderer for many of the characters because otherwise you had sparkles in their eyes and reflections coming off of everything because it was much more I hate to say automatic but it was much more programmed. 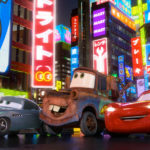 LP: What I find interesting about Cars 3 is not just visually but Cars 1 is very different from Cars 2, which is very different than Cars 3 and not in a bad way at all. Did that come into play? If you look at Cars as sort of a salute to the Route 66 piece and you look at Cars 3 as more of like a salute to the history of racing while also looking forward to the future of racing, how do you guys change your thinking so much each time you make one of these movies? KR: Well, you know the thing with sequels are interesting because one of the things you wrestle with an original is you know who is this character and what’s its motivation and what does he sound like and how does he react. 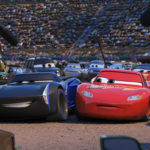 So, you’re kind of lucky in the sense that McQueen started out in Cars 1 as kind of a jerk and he got humanity by the end if you will and so what we originally started with was the aging of an athlete and that was the kernel of an idea and whether it’s an original or it’s a sequel, what’s the kernel of an idea that is going to make you want to see this movie. 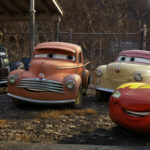 With a sequel, you don’t want people to go, “I just spent $12 and I just saw a retread of the first two movies or a retread of the movie.” And, so we started with an aging of an athlete and where would Lightning McQueen be 11 years after he starts his career? We spent a number of times actually several visits with Jeff Gordon, who randomly was going to be retiring right during the production phase of our movie and we told him the story and he goes, “It’s kind of my story.” He said, “I worry that I will never be as good at anything as I was as a racer.” That kind of inspired us but then having say McQueen win the race felt hollow because it was like … Okay, here’s a rich guy with problems and he gets to win at the end and that’s why the twist at the end where he gives up his one chance to be mentor and give somebody else a chance had way more resonance than just a sports comeback story. LP: When the movie started, everyone was expecting sort of this is going to wrap up the Cars franchise and you know we don’t know but at the end everyone wanted to see more. They wanted to see more of what Lightning does beyond and what Cruz does as a full fledge racer and I thought that was a testament to the work you guys put into it because it definitely feels like a Cars movie. You have the friends from Radiator Springs but it really refreshed the entire world of Cars. KR: And, that was the goal to give people a different story and we ended it very ambiguously with, “Oh, I’ll race again but right now I’ve got a job to do.” You get a sense that they’re going to go off together and race in some capacity. We don’t have any plans for a Cars 4 so … and today we’ve gotten that question asked a number of times. It’s kind of like if somebody has a really good idea for a Cars 4, sure there might be a Cars 4 but right now we don’t have one and we’re not actively going, “Okay, let’s get a team on Cars 4.” We’ll see what happens. LP: Do you get to take a vacation now? KR: There’s a part of me that doesn’t want to get forgotten, you know. So, I’m not the biggest on vacations but and I also do the voice casting along with Natalie Lyon and so we got casting still … we’re just finishing up Toy Story 4 and then we’re still working on Incredibles and then the untitled Dan Scanlon film. We’re still working with him on it so once we get those kind of in the bag, I’ll probably take some more time off. 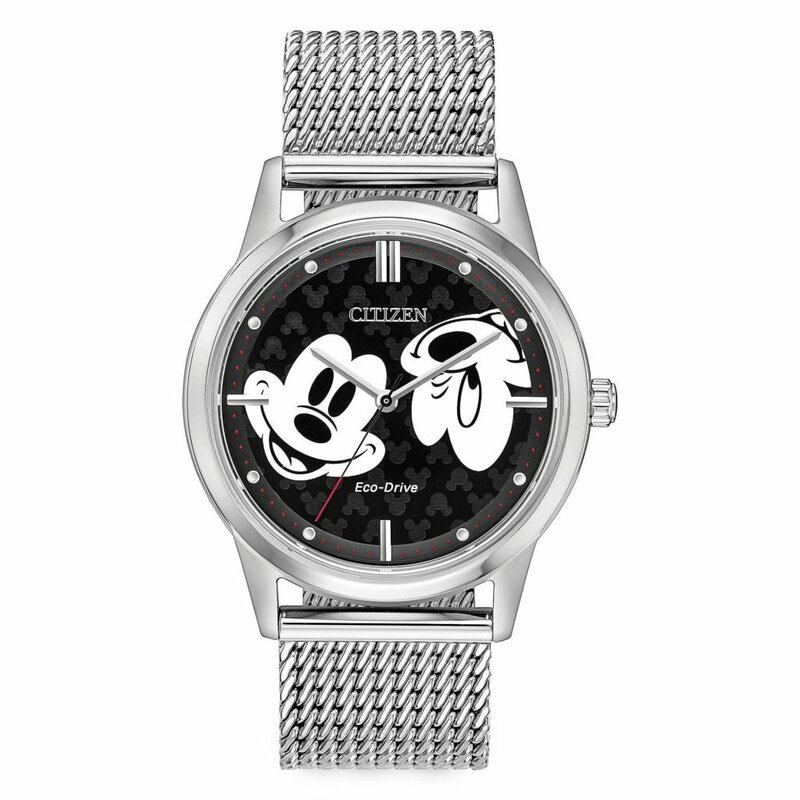 LP: When we talked to Lee about Coco, he said he came up with that idea while on vacation at the Epcot Pavilion so you can work while on vacation. KR: You know, they’re not looking to me to direct a movie though. I have tons of ideas but they tend to be more in the Sundance, independent film kind of thing. LP: You never know. If you’ve learned anything from Cruz Ramirez, you never know your potential. KR: Exactly! We had a woman that I hired years ago in development and she’s now blossomed into a wonderful writer and she was the one who literally went toe to toe with our story people and John Lasseter and said, “Read this article in Wall Street Journal about women who self-limit and that’s where we need to go with Cruz.” She was really instrumental in taking Cruz to that place, which is you know where she ended up. Brian has two daughters and there were a couple of the bloggers today who had two daughters who said this is the kind of movie I want my daughters to see.